We are providing Previous year paper for IB ACIO exam, we are sure this will provide you with an overview of exam pattern and syllabus of IB ACIO 2017 requirement. 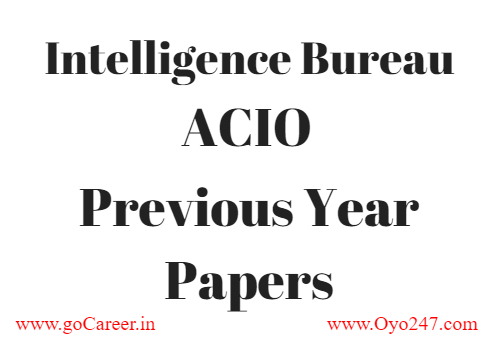 We are providing you last 3-year question papers. These papers are shared by Oyo247 team.